“Wolfaegis” is a previously unreleased Thy Veils track. It was recorded for the first time in 2009 and used in the dance production “Torn” by Yin Yue. In 2010 Thy Veils’ “Wolfaegis” was expanded and used by Yin Yue in her “Torn” performance at the A.W.A.R.D. Show! in New York City, which was presented by The Joyce Theater Foundation, Inc. and covered by The New York Times. The whole performance was recorded and now it is the basis for Thy Veils’ new video production. 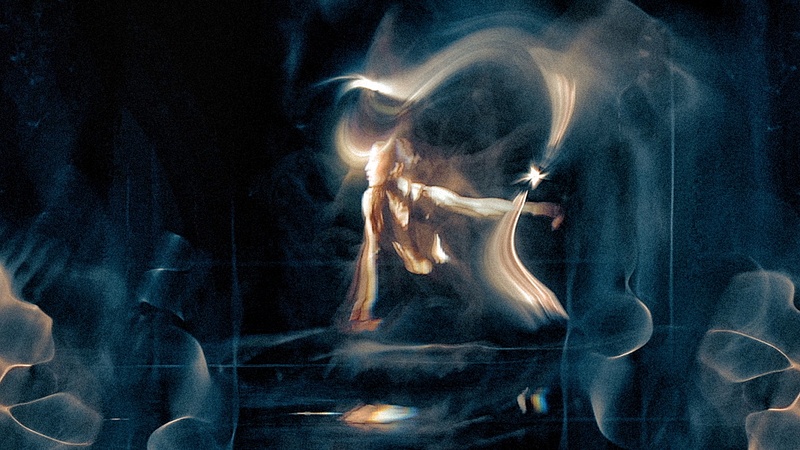 A versatile performer and choreographer, Yin Yue is the artistic director of Yin Yue Dance Company, a New York City based contemporary dance ensemble and also the artistic director at Jiangxi Zhongshan Dance School in China. Born and raised in Shanghai, China, she studied classical ballet technique, Chinese classical and folk dance at Shanghai Dance School, where she received rigorous training in all aspects of the technically demanding and highly structured Chinese dance. Yin continued her education at Shanghai Normal University and by the end of her university training she had appeared in many festivals and dance competitions throughout China. In 2005, she was ranked among the top ten performers in the National Dance Competition in Yunnan. Intent on further developing her artistic talents Yin moved to New York City to pursue MFA in contemporary dance at New York University’s Tisch School of The Arts. “Wolfaegis” is the 3rd video production in Thy Veils’ dance series. The first one was the vibrant and oneiric “Immemorable” featuring Alina Ștefan. “Stay” – Yin Yue’s first collaboration with Daniel of Thy Veils.